Why Buy the Brita Dolce 3-Way Tap? Replace your existing kitchen tap with the Brita Dolce 3-Way Tap and enjoy the convenience and functionality of a quality 3-way kitchen tap. 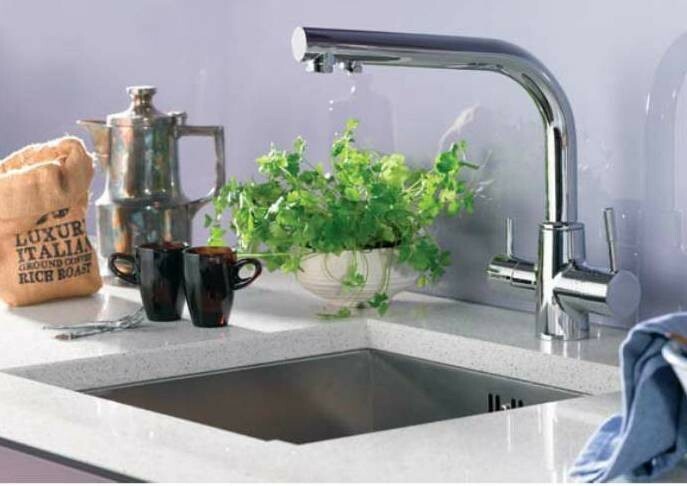 levers: a mixer lever for unfiltered cold and hot water, and a separate lever bearing the Brita logo that dispenses filtered water. The Starter Set contains all the elements required for assembly and a practical wall mounting bracket for the system's filter head. As the BRITA under-counter filter works as a pressurised filtration system, it can be installed in any position, either horizontally or vertically. The cartridge fits perfectly into the space available under the sink. An additional 3/8 inch connection is required to install the 3-way dispenser, which can be created with the T-connector included in the Starter Set. The Starter Set also includes the electronic BRITA cartridge change indicator, which makes an acoustic sound at intervals as a reminder at the end of the maximum cartridge usage time. 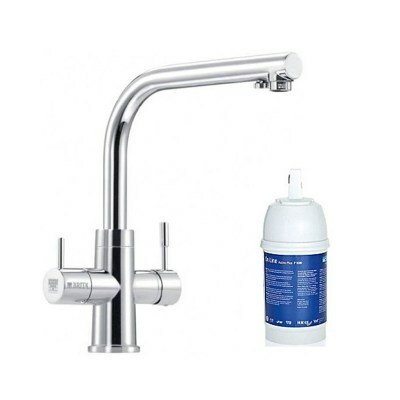 After activating when inserting the new cartridge, it can be fitted with a hook-and-loop tape fastener under the sink. 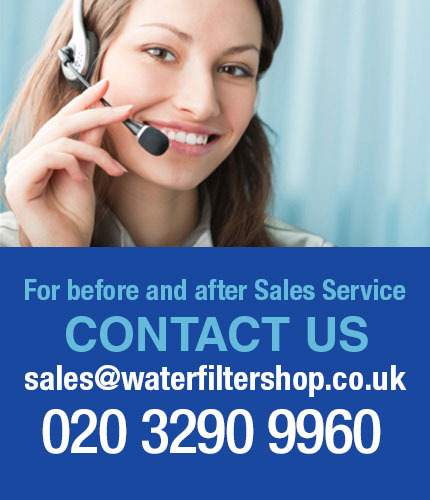 The filter cartridge can be easily replaced at the end of its maximum service life. The water filter can be depressurised through the integrated flush valve before the used cartridge is removed from the filter head. Then insert the new cartridge and activate the water filter in the same way as with the initial installation, and enjoy many more weeks of BRITA filtered water. 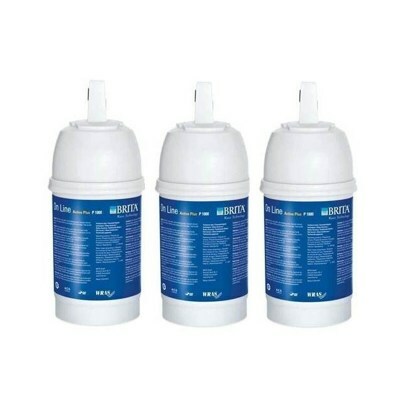 Used filter cartridges can be recycled. Integrated flow controller ensures optimised water jet with high water pressure. Sounds a beep after 90 or 180 days, depending on the water hardness setting made on the filter head, to remind you to change the cartridge. Please note: If installing with a low pressure boiler a pressure-reducing valve may need to be fitted to the cold supply. The base ring of the tap as pictured is not a feature of the tap. There is no base ring.